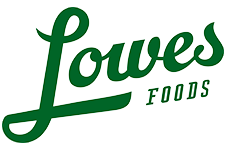 Take a look at all the best deals from the Lowes Foods ad starting 7/10. There are several good B1G1 deals along with some cheap Kellogg’s products. If you find any additional deals or coupons feel free to share with the rest of us by leaving a comment below! Dasani Purified Water, 24 pk, 16 oz bottles, $3.99 Buy 2, Get 1 Dasani Drops or Powerade Drops FREE!